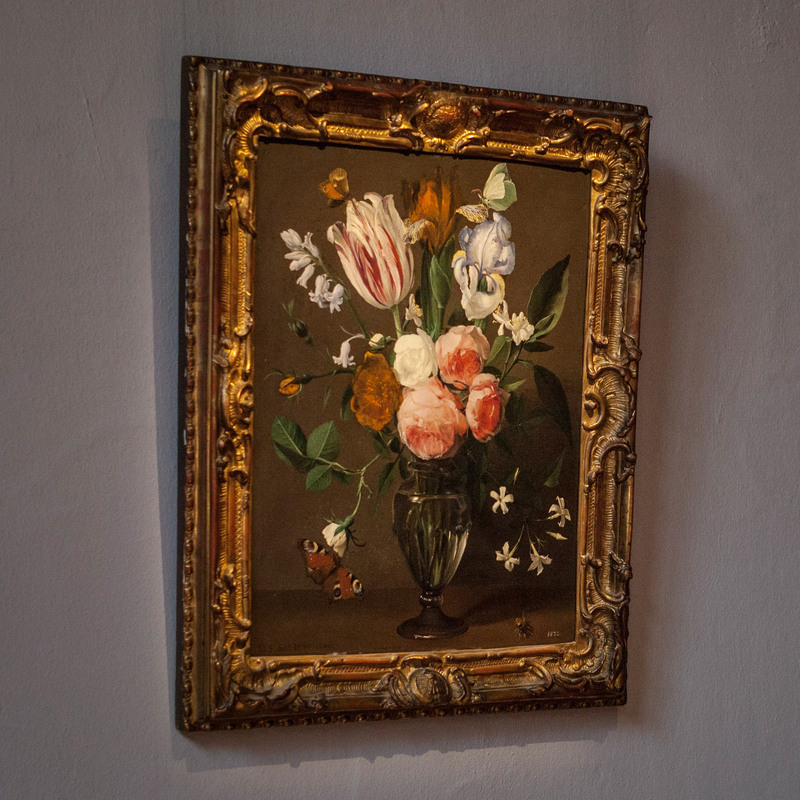 Flowers were a luxury in the seventeenth century and only the rich could afford these exquisite and rare valuables. They were carefully studied and represented. Daniël Seghers, who trained with Jan Brueghel the Elder, specialised in flower still-lifes. In addition to being a painter, he was also a member of the Jesuit order, as you can see from the signature at the bottom left: D.[aniël] S.[hegers] Soc.tas IESV [Society of Jesus]. 1643. Rubens owned at least one work by Seghers, which the order probably presented to him, as Seghers was not allowed to sell his works as a priest. The vase contains a bunch with a variety of flowers including roses, bluebells, tulips, apple or pear blossom, irises, peonies and deutzia.